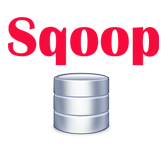 Sqoop is a tool designed to transfer data between Hadoop and relational database servers. It is used to import data from relational databases such as MySQL, Oracle to Hadoop HDFS, and export from Hadoop file system to relational databases. This is a brief tutorial that explains how to make use of Sqoop in Hadoop ecosystem. This tutorial is prepared for professionals aspiring to make a career in Big Data Analytics using Hadoop Framework with Sqoop. ETL developers and professionals who are into analytics in general may as well use this tutorial to good effect. Before proceeding with this tutorial, you need a basic knowledge of Core Java, Database concepts of SQL, Hadoop File system, and any of Linux operating system flavors.